Megan Clements pole vaults at the Varsity Madison Invitational Track Meet in Rexburg on April 5. She took first place and Ashley Jenson tied for second place. GARFIELD—Norma Rounds went to the home of Erik and Debbie Madsen’s for dinner. The Madsen’s are planning to move to Ririe. We are pleased that Erik will still be over the spanish ward held at the Garfield church. The Garfield Single Adults met at the home of Ilene Mathews. The table was beautifully set and they enjoyed a wonderful lunch and the lesson that was held afterwards. The Garfield First Ward held their “Ladies Who Brunch” on April 11. They shared delicious breakfast and lunch foods and worked on unfinished projects. The Garfield First Ward Deacons went to the Rexburg Temple for baptisms for the dead on Tuesday. The Laurels met at the church for a fun game of “The Price is Right” and their meeting was focused on budgeting. The Mia Maids made rolls at Ilene Mathews home. The Beehives held a service project. Webelos den meeting was held on April 9 for Garfield First at the church. Moms were welcomed at the end of the meeting to view the artwork the boys have been working on in a mini art show. They also displayed their artwork at pack meeting. 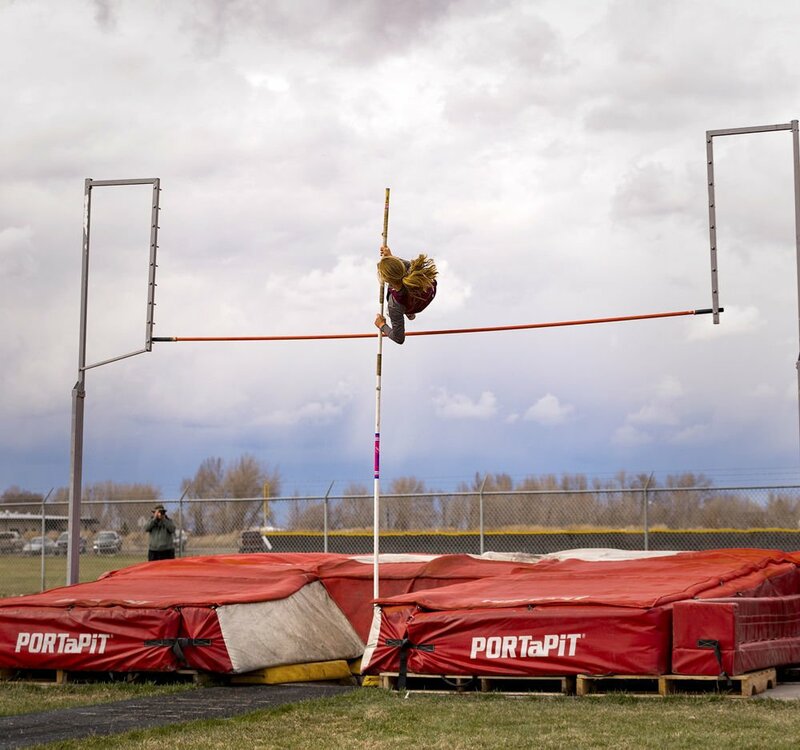 Megan Clements took first place and Ashley Jenson tied for second place in pole vaulting at the Varsity Madison Invitational Track Meet in Rexburg on April 5. Ethan Reese took third place in the 400m for the District 93 JV Invite held in Idaho Falls on April 4. Ethan also took fifth place in the 200m. Garfield First Ward Relief Society goes to the Idaho Falls Temple every Friday at the 11:00 a.m. session. Call Emily Cook if you need a ride. Ron and Donna Wilding received their LDS mission call to serve in Hawaii. They will be leaving on June 10. They made a recent trip last month to Hawaii. This couple also served a mission in the Philippines, Cebu East Mission in 2017-2018. The Garfield First Ward Relief Society wants you to report to the Bishop or the Relief Society Presidency any special needs from your administering families. Gaylen Summers was put in over the Teachers in the Garfield Sixth Ward. They are currently making knives from railroad spikes. Ryan and Amanda Mikaya and family have moved into the Grant Ward from Hamer which they like very much. We would like to welcome them to our area. Nina Hawkins is one person that makes Easter a glorious experience for her grandkids and is busily working on this Easter. Loren and Ileen Anderson are proudly to report they have 32 grandchildren. Norma Rounds reports that her brother Dee Sellars that has been in the hospital from a broken hip is now able to be out of the hospital and soon will be able to go to their home in Rexburg. Rigby’s Easter Egg Hunt will begin at Rigby City Park at 10:00 a.m. on April 20.